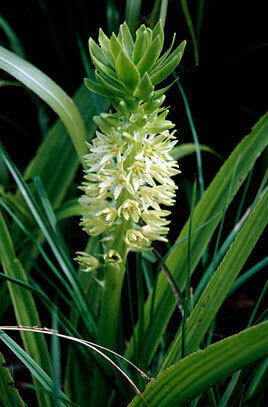 This South African hybrid pineapple lily has either a pink, cream or white pineapple shaped flower. 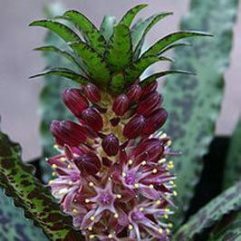 It flowers in Autumn in the shape of a pineapple to the height of 30cm. Leaves are green with a pink tinge. Full sun to part shade. Frost and drought tolerant. Winter dormant.